As part of its initiative to work with Young People, the Town Council has been working on a Collaborative Art Project in Waterloo Square. 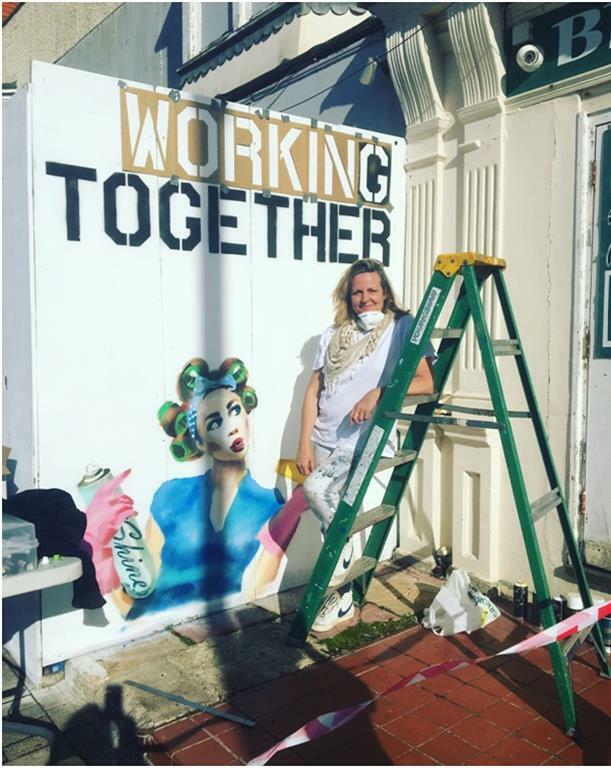 This was funded by some S.106 money from Arun District Council, and supported by Sarah Gillings MA who was the Creative Art Director (S.o.S and uCANspray Spraypainting workshops), and gave her time and expertise. Our thanks go to her and to DULUX who kindly donated some masonry paint for the finished artwork. Young people were invited free of charge to spray paint on the white hoarding in Waterloo Square and to submit a slogan via social media. The winning slogan “It’s our Future” was then stencilled over the graffiti and additional artwork added to create a vibrant and colourful scene.